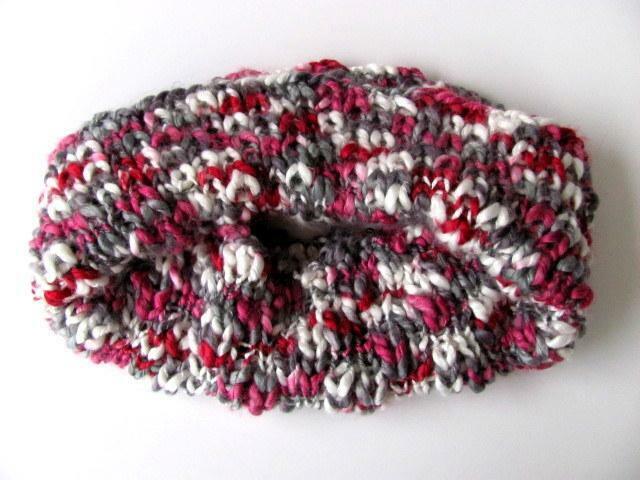 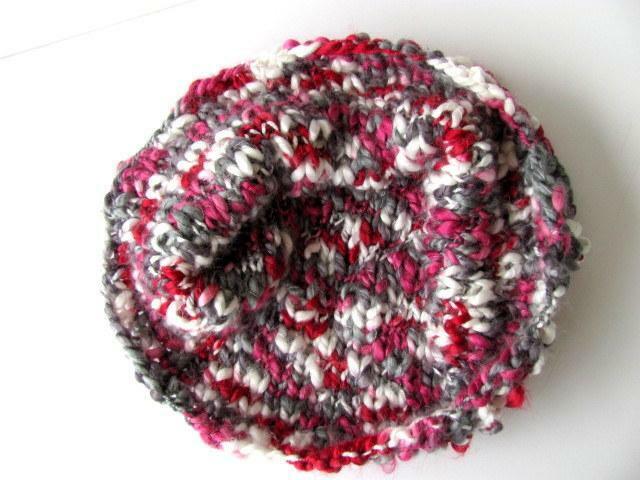 Once again this raspberry and slate with white yarn caught my eye and yelled "COWL"! 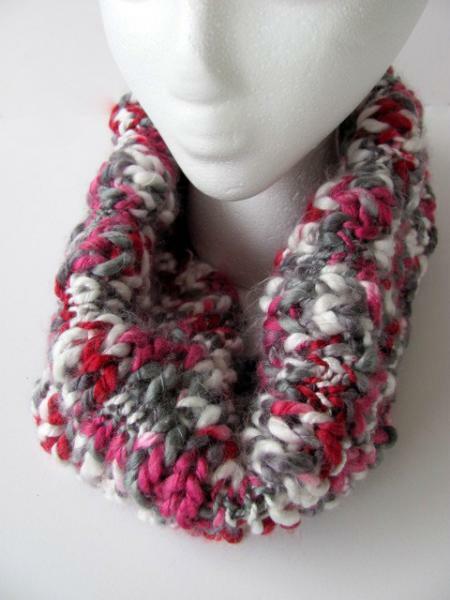 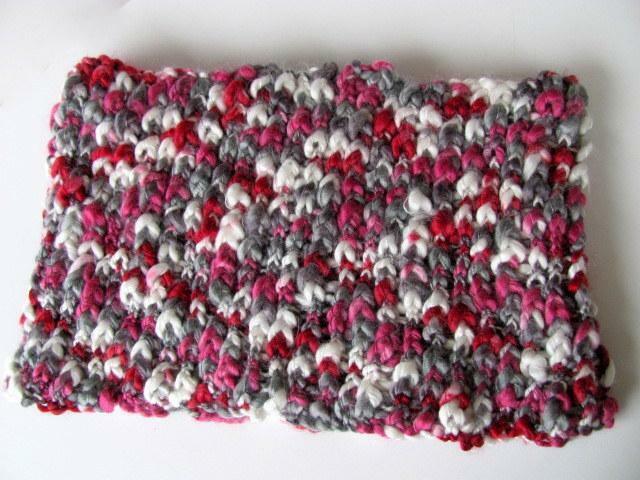 A thick and thin acrylic yarn, this worked wonderfully into a loose, soft cowl. 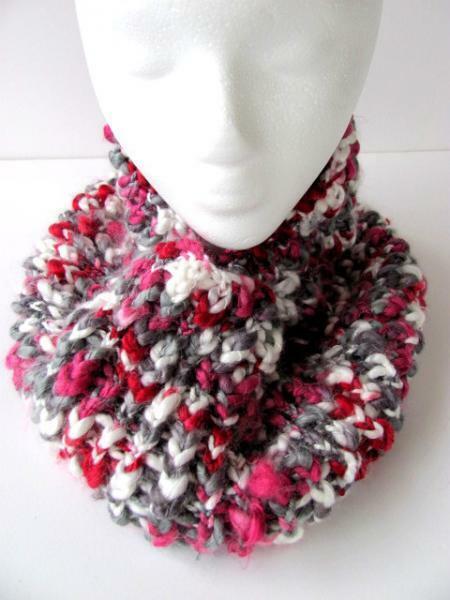 It will drape loosely and yet keep you warm and stylish. 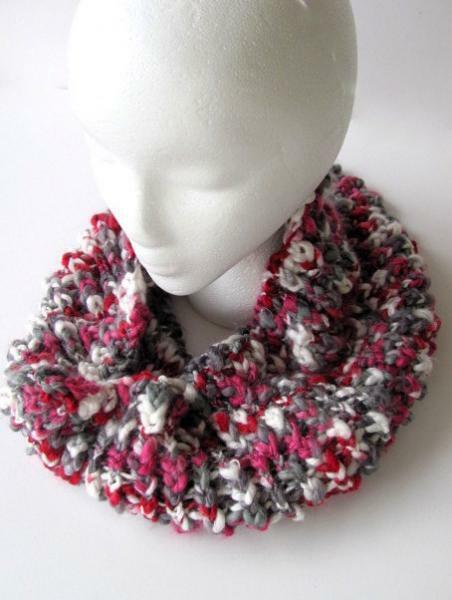 It can be worn over or under your coat and left on indoors for a smart addition to your outfit. 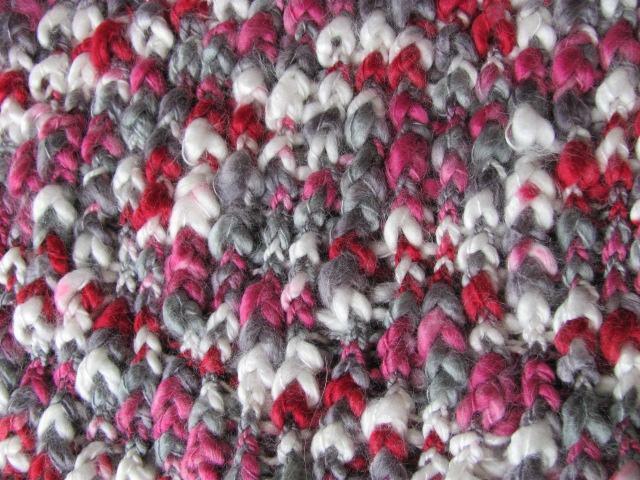 It was knit in my pet and smoke-free home...with love!